Restored Malvern 3 Star "Oppy Racer"
We recently sold a Cyclo Oppy gear system for this restored Malvern 3 Star "Oppy Racer". 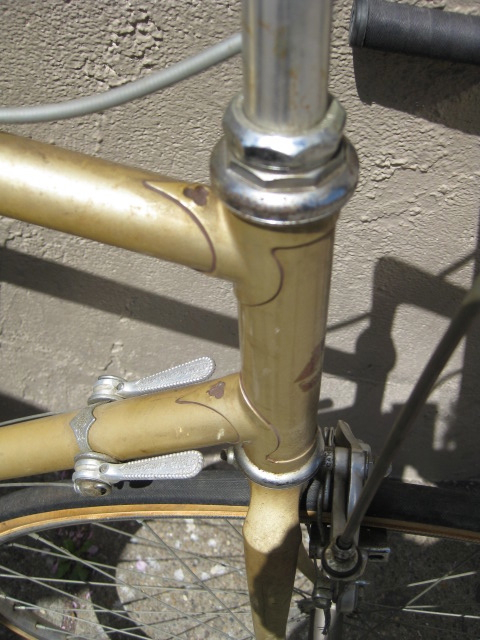 We luckily had a new old stock one with cables and shifter that would be perfect for it. Not only does it look great, it is reported to also shift well. 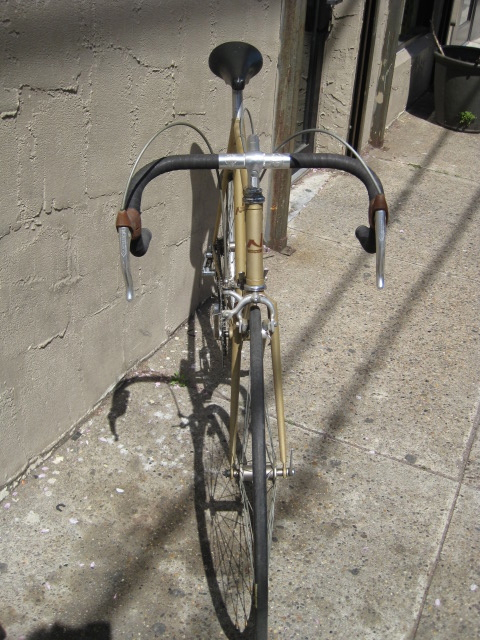 The Oppy is named after the famous Australian cyclist and later statesman Sir Hubert Opperman. 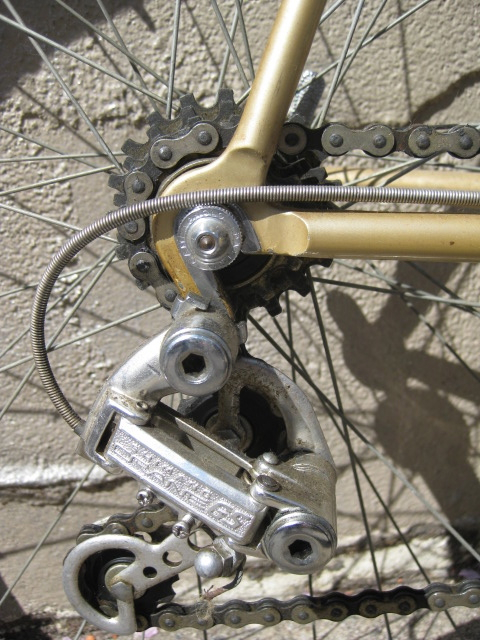 Here is more information on the Cyclo Oppy derailleur. 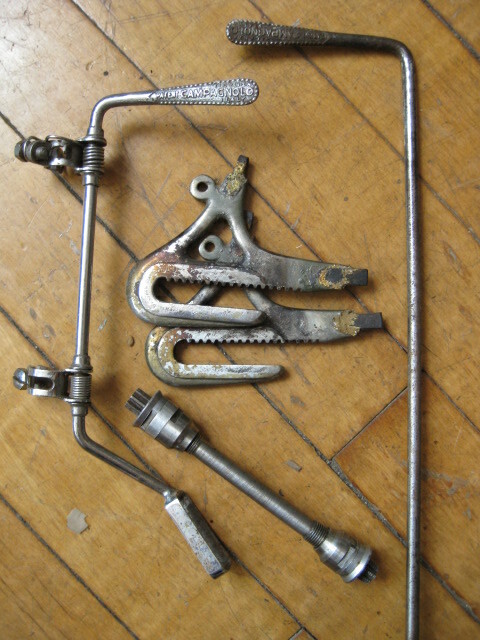 "I have finally finished the 1940 Malvern Star, 3 Star, Oppy Racer, using the Cyclo Oppy derailleur you sold me back on 16th May 2012. The bike was purchase on the 17th December 1940 for 15 pound 19 shillings and 6 pence by a Mr Arnold White in Adelaide, Australia. It sat for over 45 years in a disused chicken coup until Mr White died and I inherited it. The tyres even pumped up and I rode it after putting the wheels back on, as found on a 10 mile ride. 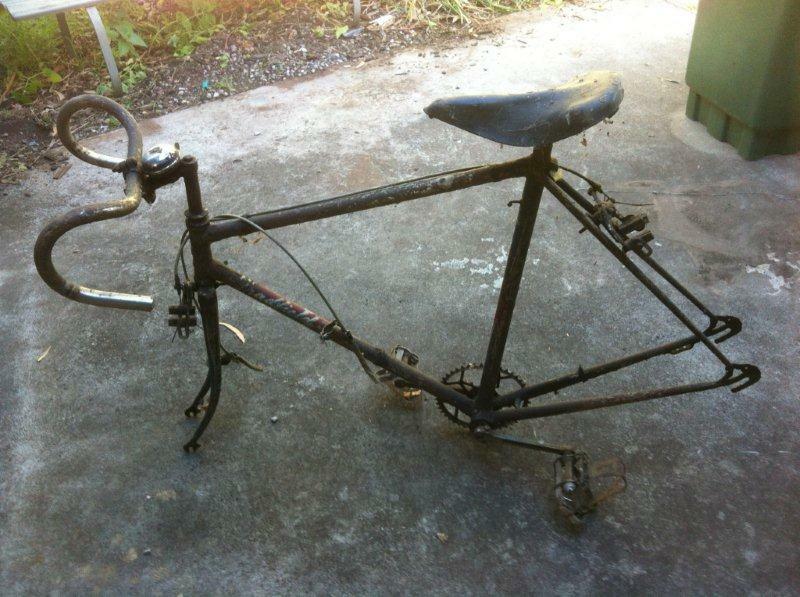 The only part missing was the Oppy Derailleur that had been replaced with a Cyclo Benelux Mk 7 in the 50’s. 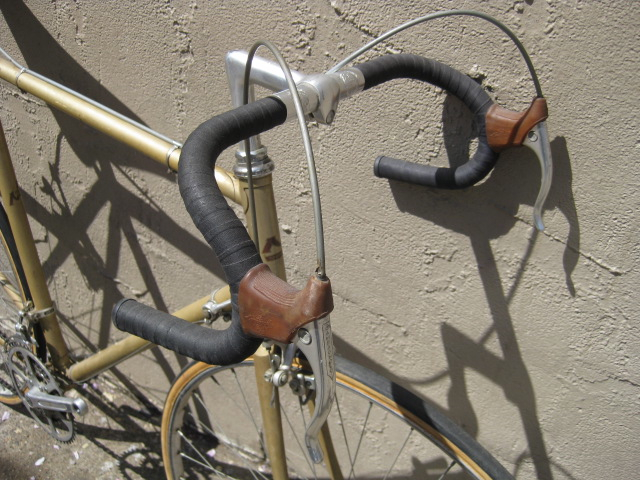 It still has the original leather saddle. 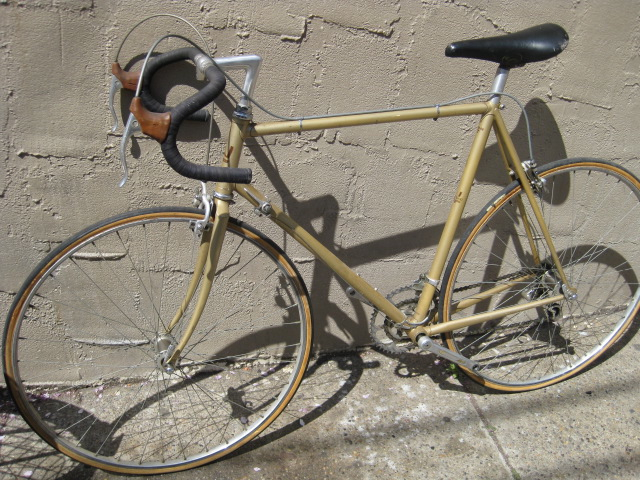 Since restoration I have ridden it once last Saturday for 25 miles without a problem. The gears work well and the geometry of the frame is similar to my Cannondale CAAD 9 (built in the USA) that I normally ride, other than the large caster angle on the front forks. On one of the downhill sections I hit 45 mph which is not bad for 72 year old spokes. 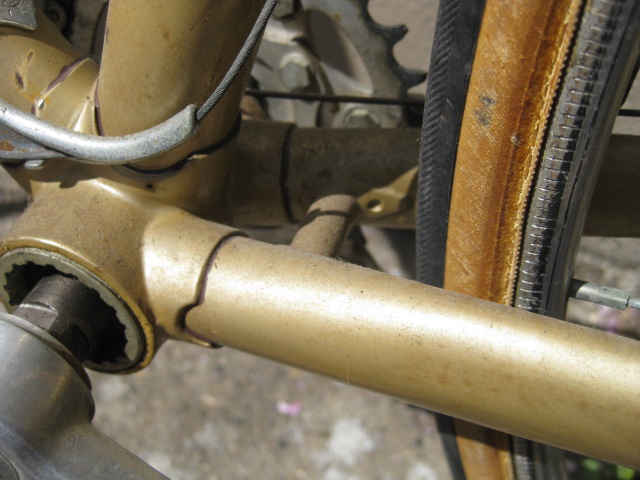 Thank you for your assistance and that beautiful NOS derailleur." 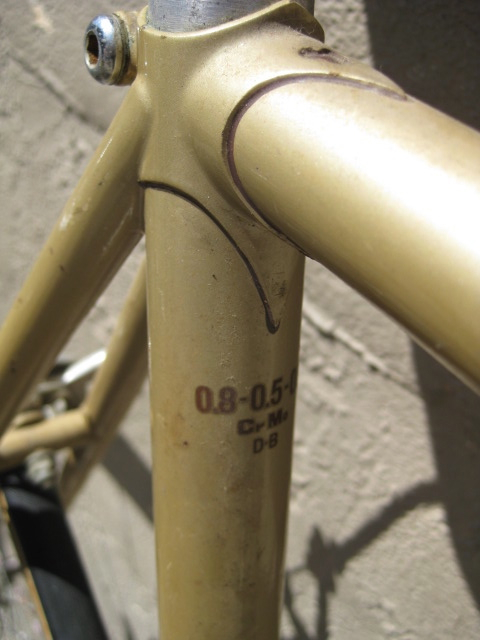 0.8-0.5-0.8 Chromoly Double Butted tubing. 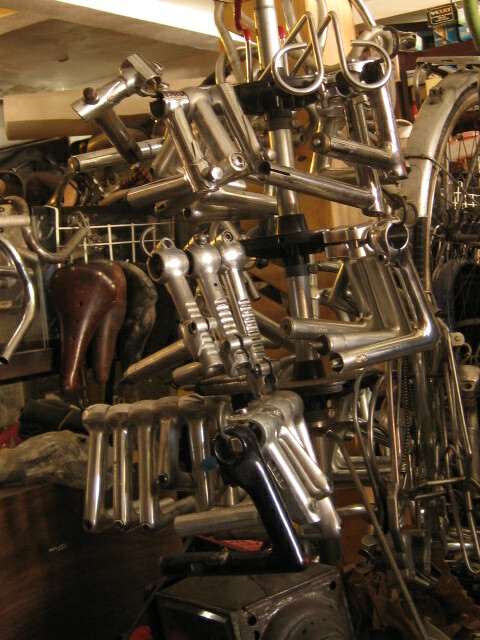 made by Kawamura for Nishiki. 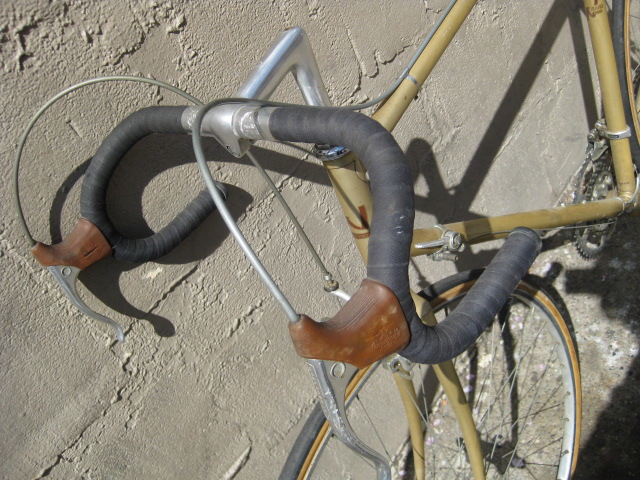 Thin tubes and tight angles it is a nice ready racer from the early/mid 1970's. They came thru West Coast Cycles. 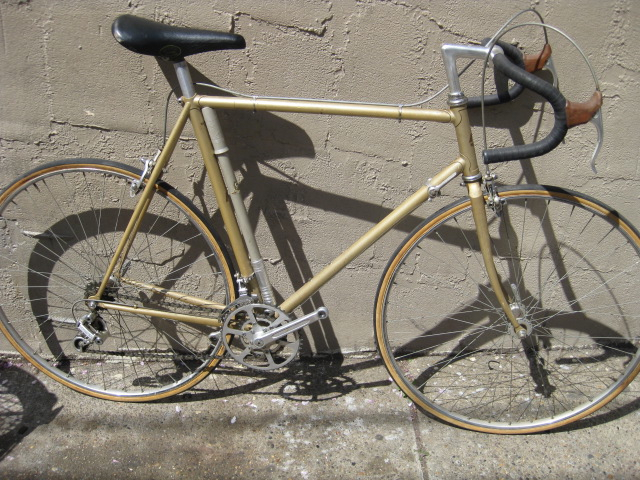 Fairly low production numbers for Nishiki. 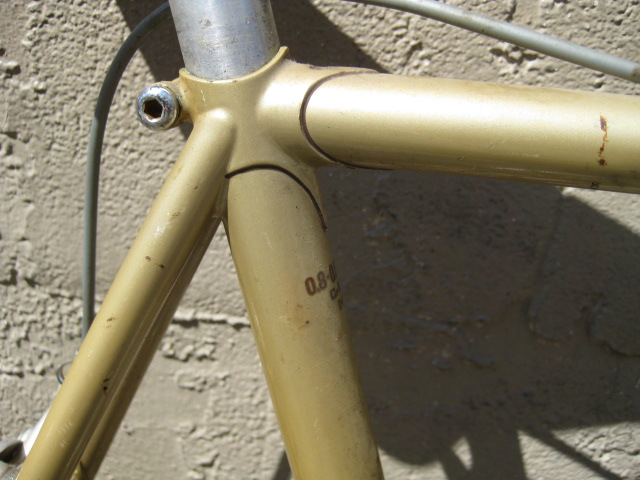 We are selling it as either a complete bicycle as seen in the photographs or I will just sell the frameset. Sewup rims, tires don't hold air. 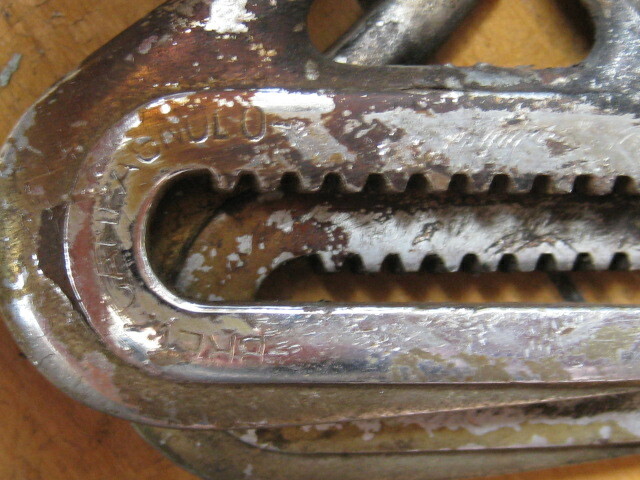 complete with original Campagnolo dropouts, the teeth are in excellent condition. 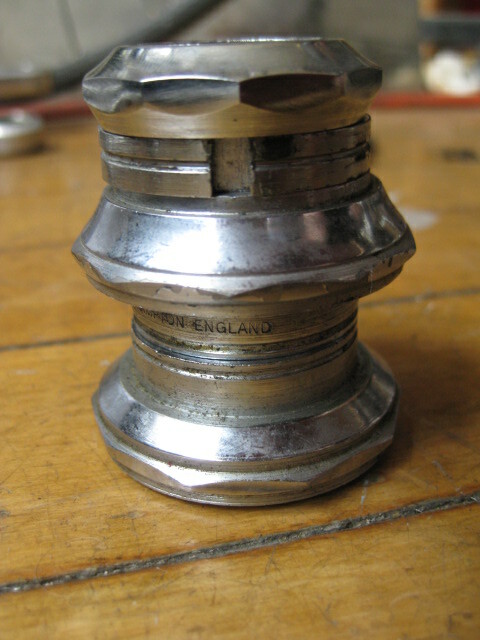 It was common to also found the dropouts with the teeth filed away, so a normal axle could be used in the dropouts. 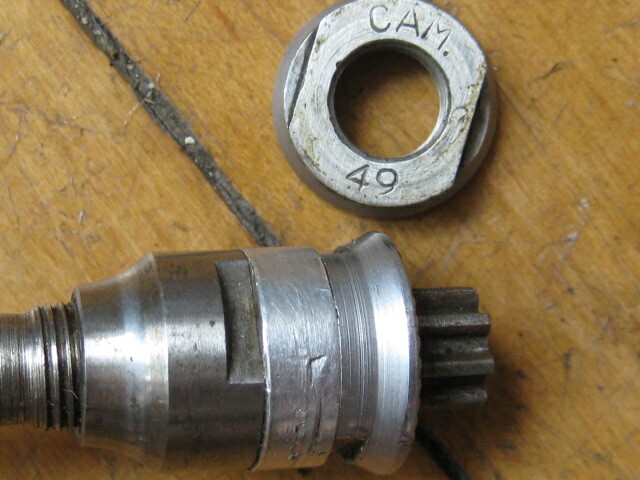 the rear axle locknut is stamped "CAM 49," so it is dated 1949. pretty cool. 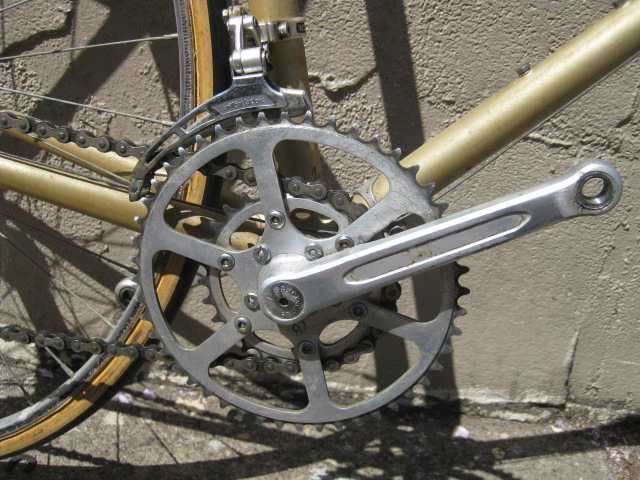 The way chain was moved into another cog on the freewheel(3 spd and 4 speed were common) was to open the long quick release lever to the rear hub, then simultaneously backpedal and move the shift lever to derail the chain onto a different cog. 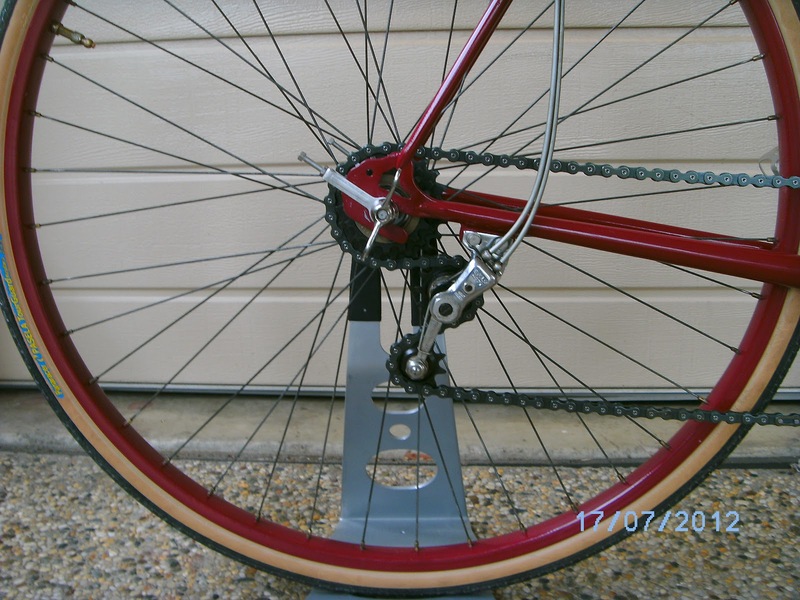 Once you were in the desired cog, to then close the wheel quick release. 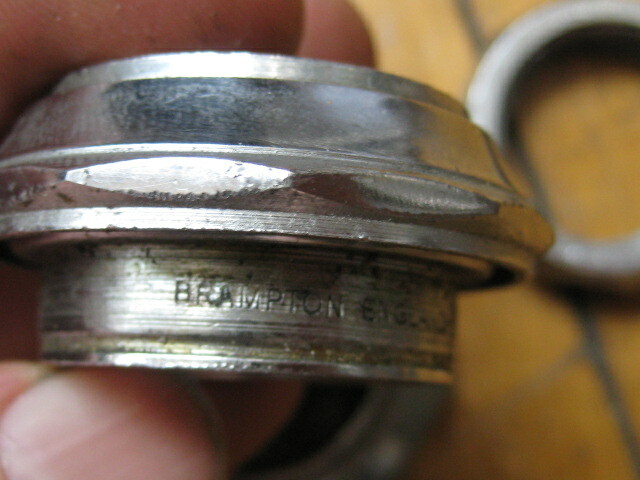 the tension of the chain was adjust by the angle of the dropout and the rider's weight on the bike. The wheel would move fore and aft depending upon the gear combination, there was no sprung jockey wheels. 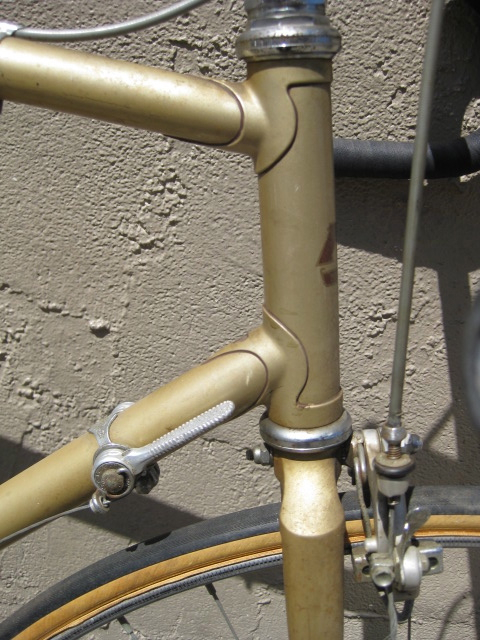 Keep in mind riders in the 1940s Tour De France raced with this system and even won! 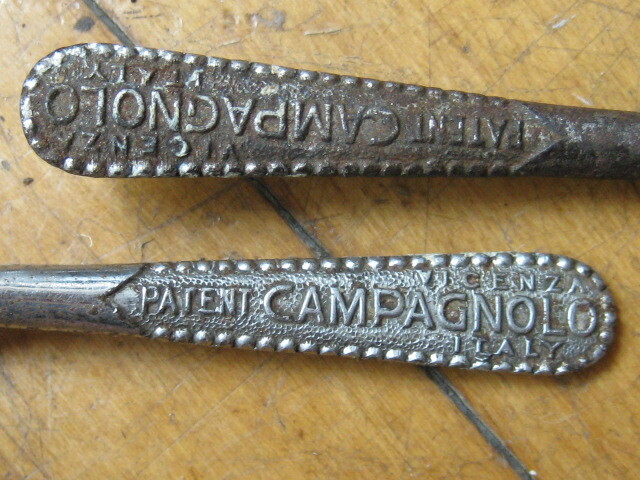 these catalogs are from the 1890s-1900. Esoteric Wheelmen era information but at the same time, very interestng illustrations and unique parts.